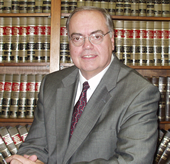 Bruce T. Logan | Ash, Anos, Freedman and Logan, LLC. Bruce T. Logan was born in Abilene, Texas. Based on his experience Mr. Logan has been called on to devote more of his efforts toward consulting with clients to evaluate their existing litigation for cost effectiveness and provide result projections. Admissions and Memberships: Admitted: State of Illinois Supreme Court; United States of America Northern District of Illinois and Federal District; United States Court of Appeals Seventeenth Circuit; United States Court of Claims. Member: Illinois Bar Association; Chicago Bar Association, former Vice Chair Circuit Court Commitment.